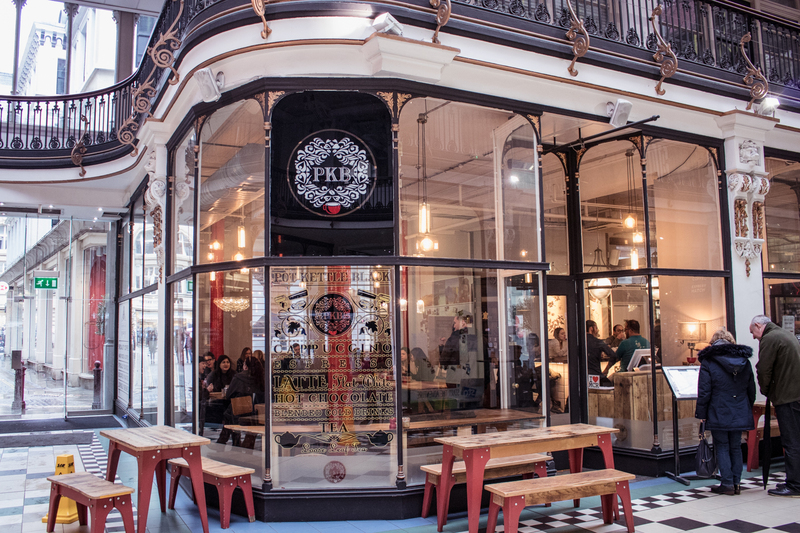 Romantic may not be the first thing that springs to mind when you think of Manchester but you may be surprised to find several spots that are ideal for the perfect date or spot to woo your Valentine. 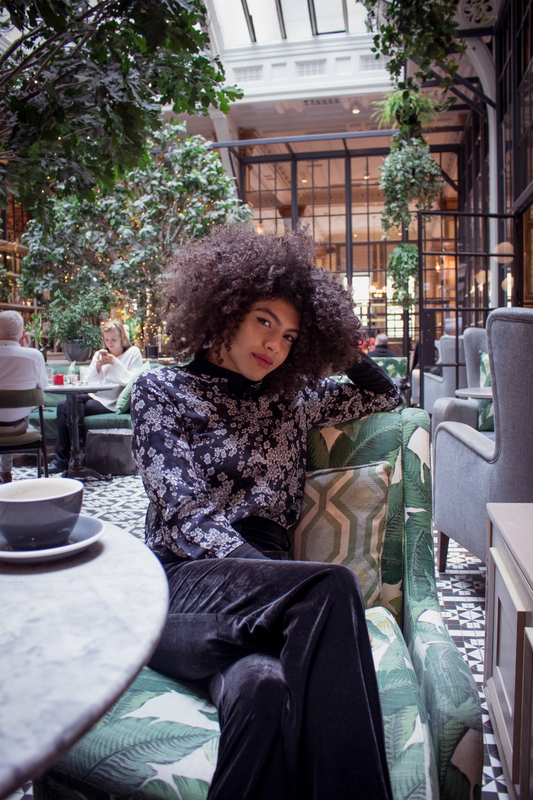 I’ve teamed up with Flybe to bring you this post and when they asked me to show you around some of my favourite romantic spots in my hometown, I of course jumped at the chance. If you know me, you’ll know I’m always out exploring my city and discovering new spots. 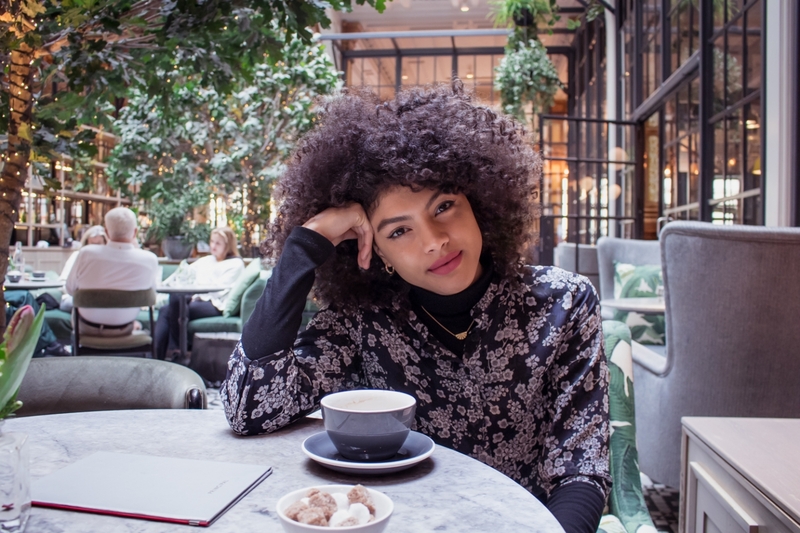 So if you’re thinking about taking a trip here this Valentine’s Day but you’re not sure which places you should visit, then look no further because your girl has got you covered! Pot Kettle Black has got to be one of my favourite places to go for breakfast or brunch. The coffee here is great and these people know how to do breakfast just right, plus it’s served all day, so there’s no rush. 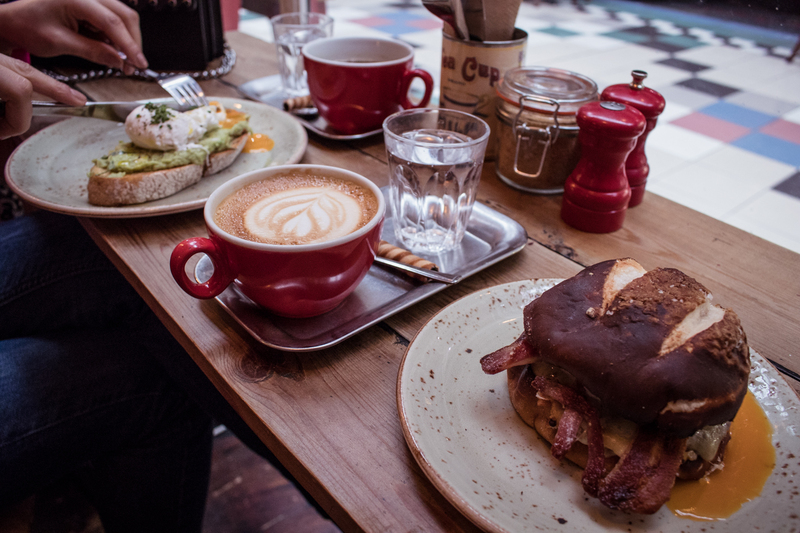 Whilst the food tastes delicious, presentation is their speciality too, so you’re bound to impress your date with a tasty (and also Instagramable) bit of brunch in this spot. Cosy up in one of the window seats which looks out into the Victorian shopping arcade (Barton Arcade) and start your day just right. 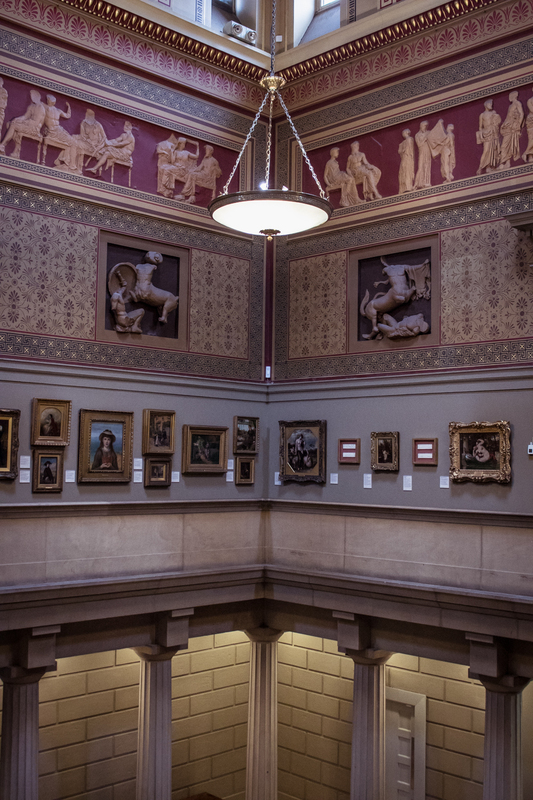 Manchester art gallery has always been one of my favourite spots and if you ask me, I think it’s a great place to take a date. 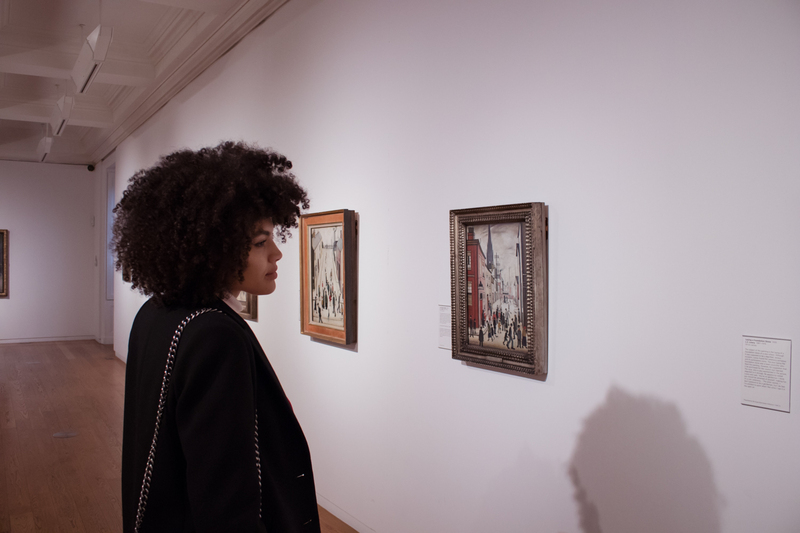 It’s free entry and with everything from historical paintings to contemporary pieces, there’s something for every art enthusiast to enjoy. 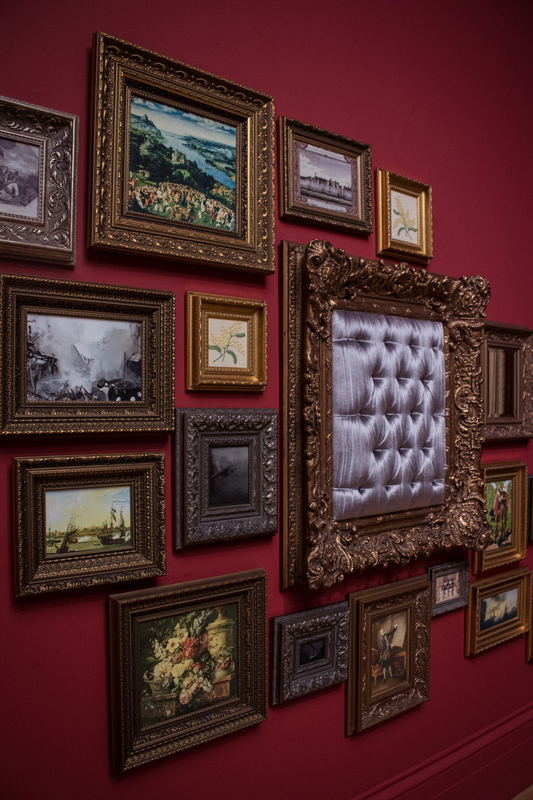 I always think there’s something quite romantic about art galleries and you can easily spend an afternoon wandering around this place and taking it all in. They have a coffee shop and a pretty cool gift shop too. I don’t know why but there’s always something so romantic about having cocktails high up in the sky…that’s if you’re not scared of heights of course. 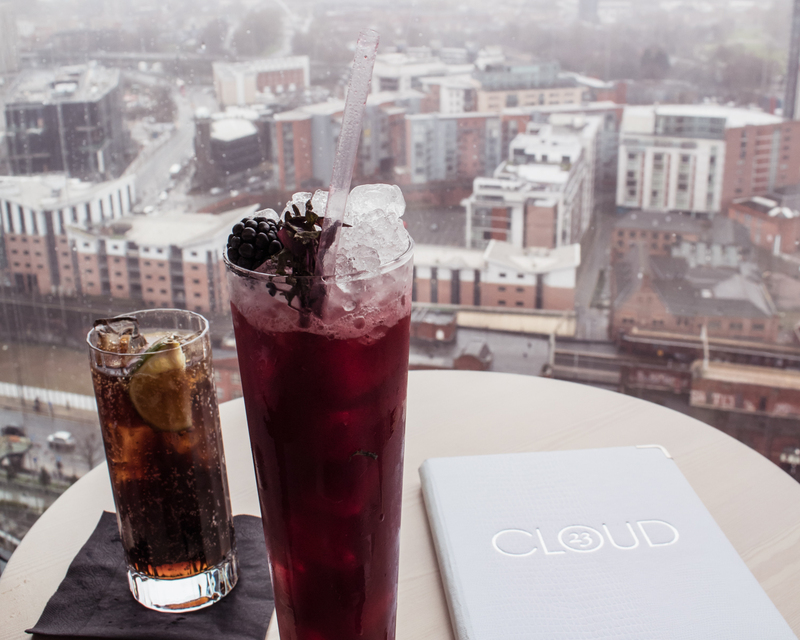 And if you’re not, then I definitely suggest you visit Cloud 23 whilst you’re in Manchester. Situated on the 23rd floor of Manchester’s tallest building (Beetham Tower) you’re able to get the best views of Manchester, and beyond. There may not always be blue skies but I don’t feel this dulls the romance of this lovely spot. You can easily spend a couple of hours here relaxing with a delicious cocktail (or two), watching the world go by. I realise not everyone wants romance to be in their face obvious and sometimes it’s actually the more bustling places that can turn out to be the most intimate. If you like a large open setting with a varied selection of great food and drink, then look no further than Mackie Mayor. This recently renovated Grade II listed building is one of my favourite spots in Manchester. It’s a great place to go with your date and I suggest taking a seat on the upper tier where you can sit and take in the views of this fabulous venue from above. My favourite thing about this place, aside from the great atmosphere, has to be the pizzas. 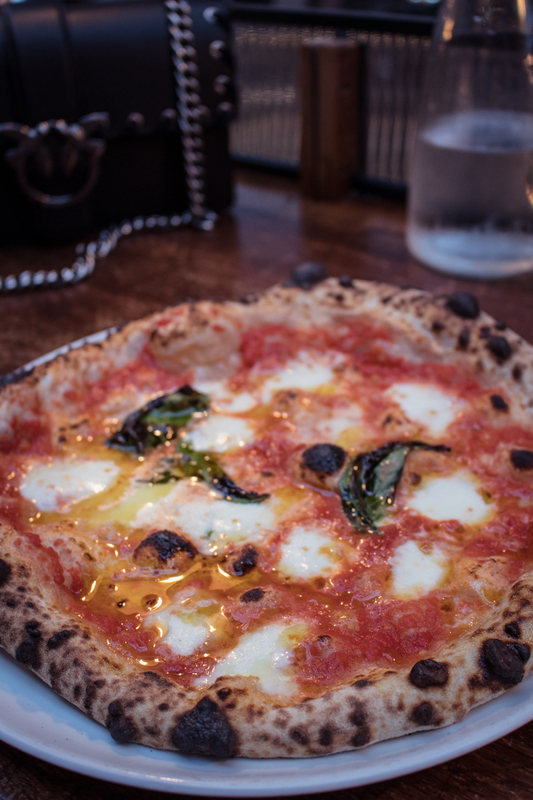 I highly recommend the margarita pizza from Honest Crust, it’s seriously good! 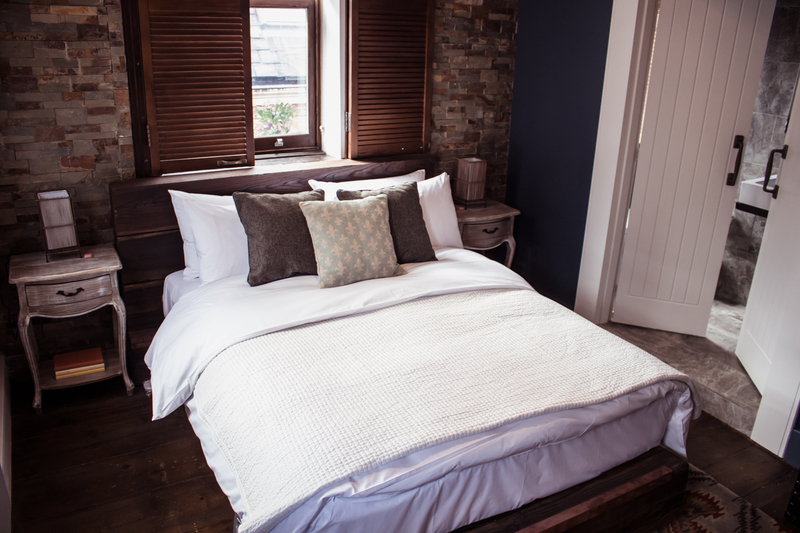 What could be more perfect than an affordable and romantic hotel situated in my personal favourite part of Manchester, the Northern Quarter. The Cow Hollow Hotel is close to lots of great bars and restaurants but it’s easy to miss it, as it’s tucked away on a corner of Newton Street. 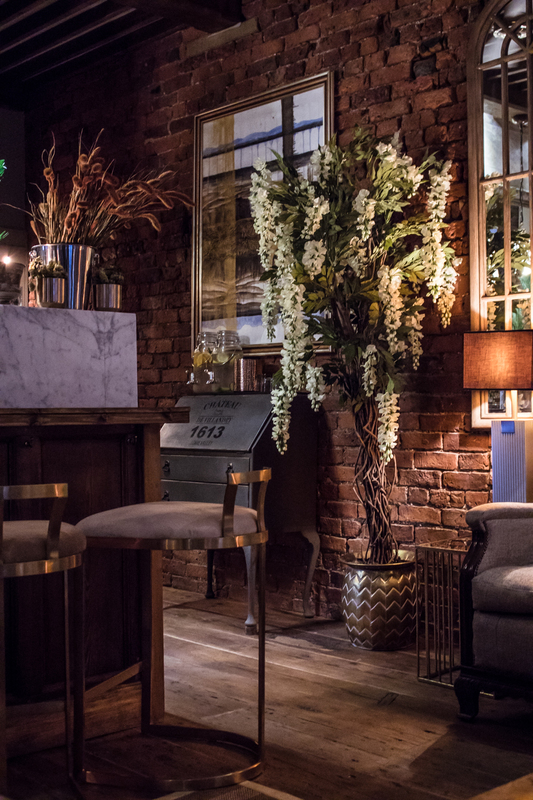 I discovered this place after stumbling upon their bar, which I do believe is the cosiest and certainly most romantic spot that I have come across in the Northern Quarter. With great wine, great cocktails, excellent service and beautiful interior throughout, what’s not to love. 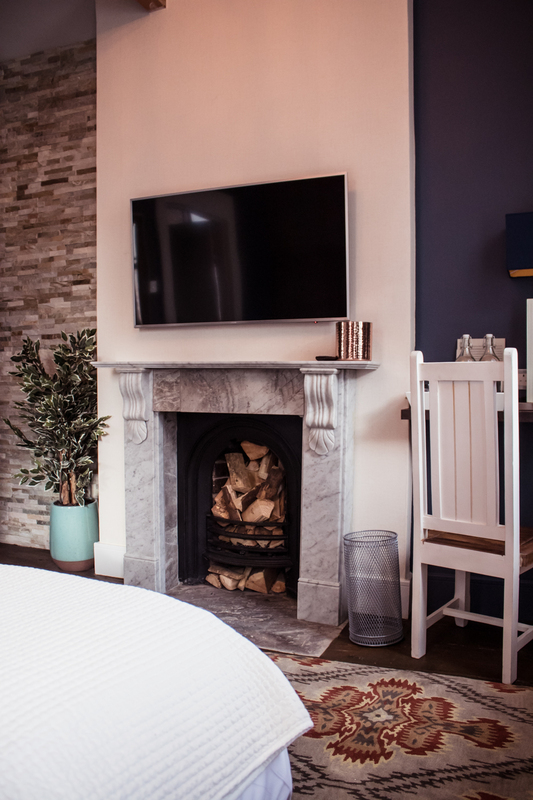 This intimate little spot hosts a bar (which is open to the public as well as hotel guest) and 16 beautifully furnished hotel rooms perfect for your romantic getaway. You must visit Refuge when you come to Manchester because this place is just stunning. 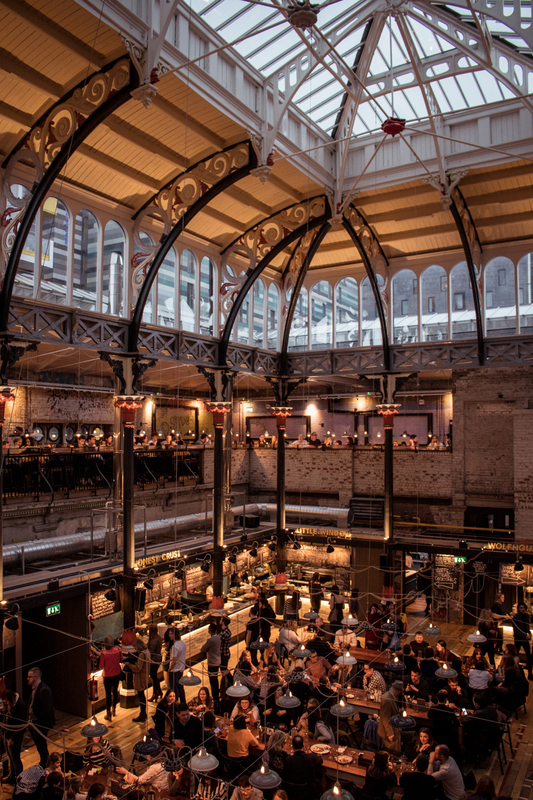 The huge building holds a number of different areas where you can dine, have drinks and relax. My favourite part of this place has to be the centrepiece, which is the beautiful Winter Garden. I like to call it the most weatherproof garden in Manchester because they have done an excellent job of brining the essence of the outdoors, inside. 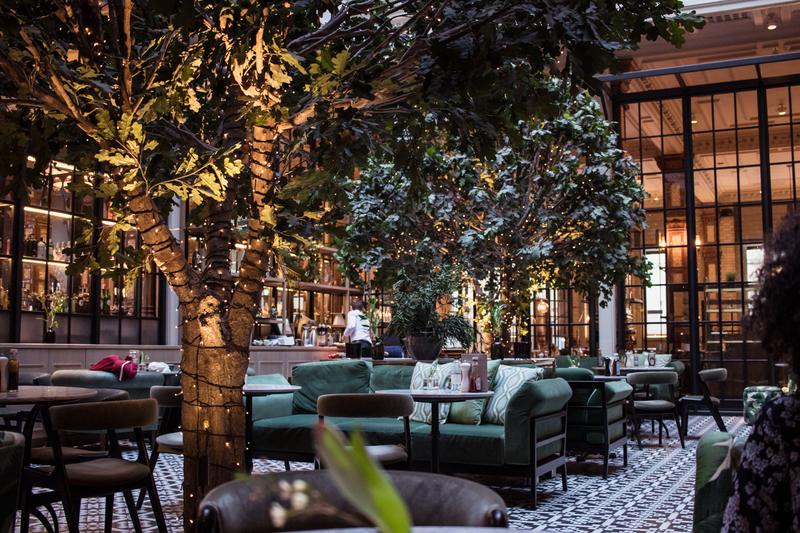 With it’s atrium ceiling, plush furnishings and large glass windows looking out onto the rest of the venue, you feel as if you’re inside a romantic secret garden. Whether you come here for a coffee during the day or for cocktails in the evening, it certainly makes for a perfect romantic spot. So there we have it. Those are a few of my favourite romantic spots in Manchester. I love sharing favourite parts of my city and showing you around. 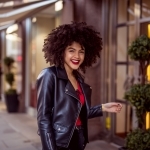 Hopefully this could give you some insight of some of what Manchester has to offer and if you are looking to visit, then don’t forget Flybe flies to Manchester from eight UK airports, including Exeter, Southhampton, Aberdeen and Belfast. So what are you waiting for, why not hop on a flight over. Hope to see you soon! Check out my video guide here. Omgggg that pizza Samio!!! Seriously making me crave pizza right now haha. Always love your pretty photos babe! Have a lovely weekend. So many pretty spots! Love the look of that pizza haha I’ve never been to Manchester but when I go, definitely coming back to this post for tips!